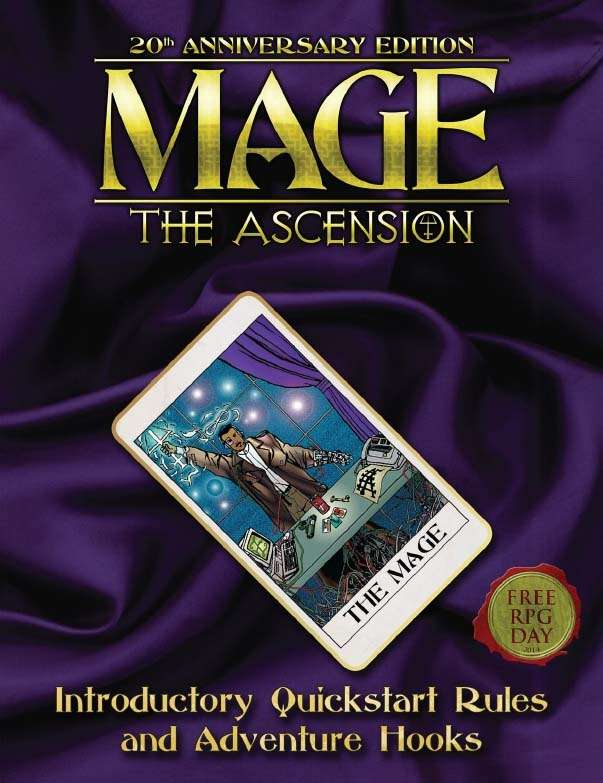 This introduction to Mage: The Ascension 20th Anniversary Edition includes a summary of the setting and basic rules. This Quickstart also features descriptions, stats, and story-hooks for playing an unlikely pack of mages: the Bridge Troll Cabal, a “family” of gutter mystics whose life in the underside of Seattle contrasts with the vibrant face of that city. For the moment, they exist outside the vast intrigues of the Ascension War. Yet, depending on their choices, that isolation may not last for long.